‘A ship in port is safe, but that’s not what ships are for. Sail out to sea and do new things’. These were the words of Grace Hopper, a former Navy officer who was also a Computer Programmer. She defied the odds, and that is what the Safaricom Women In Technology (WIT) seek to get girls to do…defy the odds. By holding the App challenge, girls in high school are taught to start thinking tech and pursuing careers in fields such as engineering, something that is still often considered a boys playing field. But it is changing, as I witnessed when I accompanied a team from WIT to launch the Inua Dada App Challenge at Loreto High School Limuru, Kenya. Safaricom Women in Technology (WIT) describes itself as a network of women working within technology related careers across the industry. (Visit www.womenintechnology.co.ke for more). I learned about their App challenge when they invited me to moderate the finals last year and I was blown away. Girls in high school, who had undergone basic coding sessions, were pitching their app ideas to a panel of individuals who are movers and shakers in the world on Technovation in Kenya. And they were nailing it! Truth is, for many people outside of tech, it is an intimidating world to venture into. Not only because there is a whole other lingo attached to it, but there is also the notion that you should have studied it or have a clear understanding of it to become a part of it. I was one of those people, but I am slowly learning that you can demystify tech while learning about all the possibilities that it can offer to your business or your life. All the doors it can open, all the bridges it can build. The different world communities as we knew them have become a global village. Seeing these girls empowered at such a young age will not only make them competitive once they graduate, but it will allow them to confidently venture into Technovation, maybe even build business cases that will solve some of the world’s problems! We have now launched the first few chapters at the schools which will be participating in the App challenge this season and they are set to begin working on their apps in September. Their goal is to find a way to solve issues of some of the more vulnerable group of girls in Kenya, through the use of a mobile device. We will outline the specifics once the App challenge rolls out. Good luck girls, we are counting on you! After reading this post, I feel like I can really trust you. 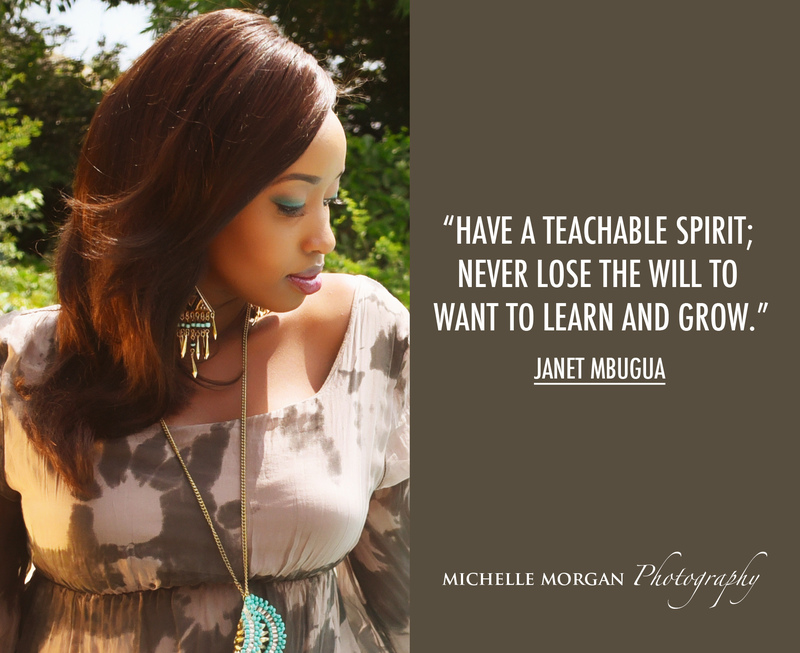 It is always good to give back to our society….keep up the good work JanetMbuguaNdichu. God bless you. i admire you Janet, i love reading anything you write. Kudos for the good job, as OBAMA said, women are the next big thing. God bless you Janet, and please right more, you are empowering me. Wow, it’s no surprise why you have so many people following you online. Janet, first, a big congratulations for the good work you are doing especially on the inua dada foundation and motivation work on this blog. Now, do me one favour…. I have always decried the concerns and issues of boy child. Early in the year, i wrote mails to mainstream media houses complaining of a dangerous imminent backlash of this concern. Your employer alone runs… Strength of a woman piece on weekends for a while now, my story… Always carry women stories mostly… Where is boy child issues? Where’s strength of a man? Standard newspaper runs……. Eve sisters and they have been visiting schools… Where is Adam?? Let’s as well highlight the plight facing boy child and even successes that great men of this earth have achieved. Finally i sign out by saying, it’s not what you have in this life that matters, but who do you have in your life that greatly matters in this life. THATS MY OLD SCHOOL!!!!! KOTET OR REDS IF YOU MAY……I used to sit on the benches just like them right there ,i can see the actual spot!…I pray one of the girls win the app challenge….. Thanks janet for spurring young girls on…now for the 'old girls' like me i cant wait for when it wil be possible to work with 'inua dada'. can individuals make donations in kind ? You do a great job ! looking gorgeous on that first pic..the top and the mic so compliment you but so does your wisdom and humbleness!i want to be just like you! Asante and God bless you too! Great work Janet!! It is a great honour and privilege to be a part of the Inua Dada App Challenge! I believe that the girl’s lives shall be transformed, not only those who will be using the App but also those who will be developing it. Can’t wait to see what the girls come up with..
Good work Janet.Am one of those girls who would really like to work with you as am so passionate about girls i wish i could get that opportunity.